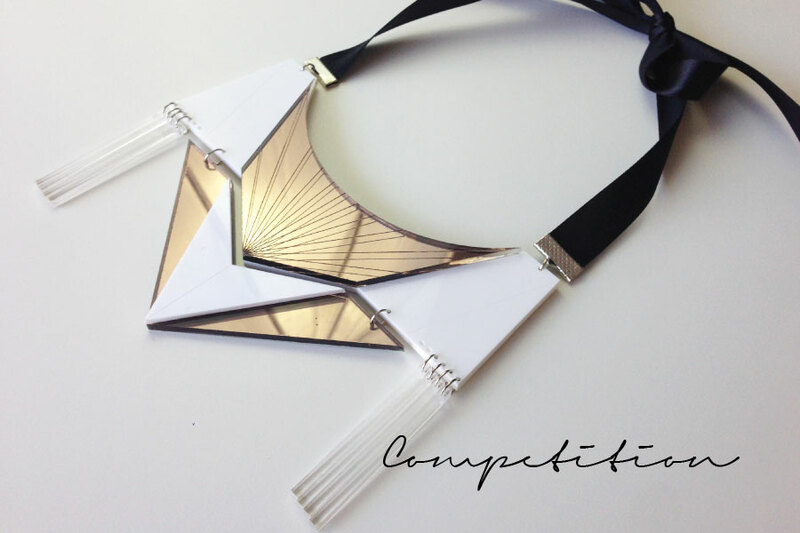 We’ve teamed-up with talented jewellery designer Sara Whittle for our latest style competition! We’re big fans of statement accessories at Style Doctors and you can win this amazing perspex Art Deco necklace by entering below. Whittle is a Portuguese brand established in 2013. The brand was created by Sara Whittle, Fashion Designer and Image consultant. Each creation is the outcome of an adventure, a reflection of a continual cultural search for something unique. The alliance of creative ideas and a focus on detail are trademarks that set her individuality as a designer. These pieces come from a inherent curiosity and the joy of creating, in an effort to combat the monotony and generate space for the original. Her designs are understated yet refined. That can be worn more like an accessory than as jewellery. Providing an powerful contrast between the pieces themselves and the fabric they are worn with. ‘I studied fashion design in England and then I internship with Ann-Sofie Back and Fred Butler (Acessorize designer). I guess that was the moment I thought I actually didn’t want to be a fashion designer. After graduating I moved to my homeland Portugal where I did my last internship with Valentim Quaresma ( The #7 International talent support award winner) a conceptual jewellery designer. Working with him made me realize the importance of the branding surrounding a business. Meanwhile making clothes kept me returning to accessories and I started assisting a few stylists who were asking me to make custom pieces for editorial shots. One year later I opened my own brand Whittle. There is something really amazing about making accessories. People invest in things that have an impact in terms of fashion but aren’t as expensive. Today with the immeasurable amount of materials that you can choose to work with, combined with technology you can have excellent results’. This is a striking collection inspired on Art Deco lines. 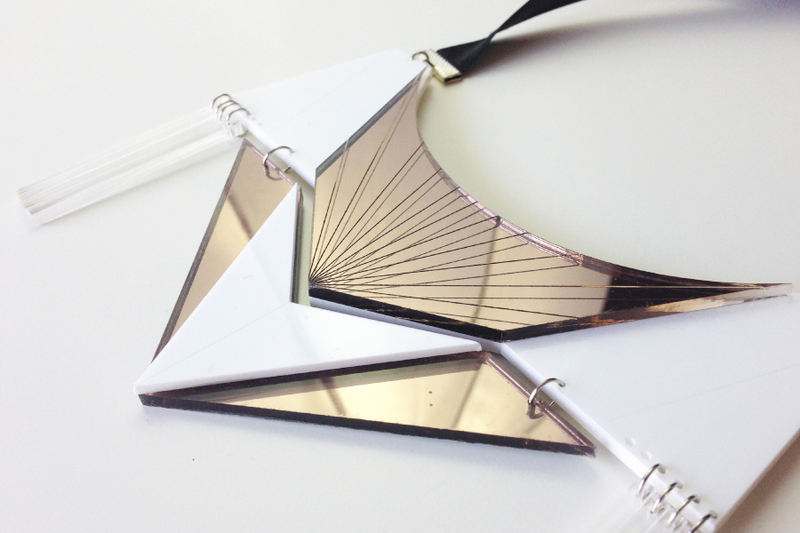 Each piece is based on simplified geometric forms, made from Laser cut and engravedperspex.This necklace is also supported by jump rings (for the perfect fit) and ties up with a black satin ribbon that can be worn at various lengths. All jewellery is handmade in Portugal and will come to you beautifully packaged. Visit the website to enter here.